You can test this functionality with a restricted search, and purchase it under settings (in the shop), if it is necessary. 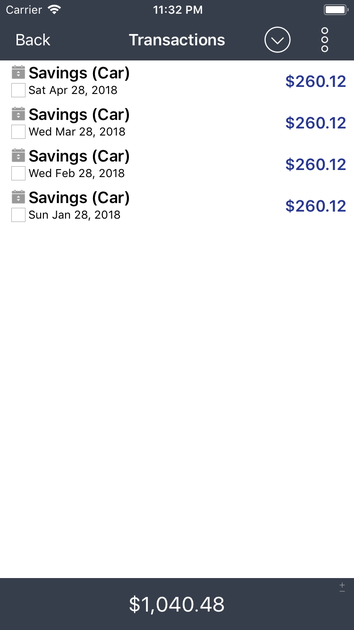 With savings goal management, you can monitor your savings on planned purchases, and keep track of when you have reached your goals. 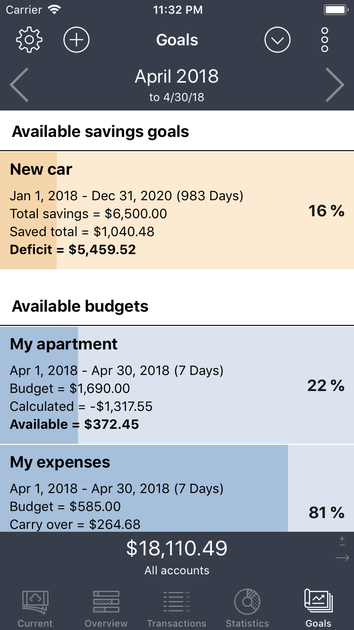 To do this, enter the total amount of savings, determine a period of time, and choose whether you want to use a one time or a recurring savings goal. 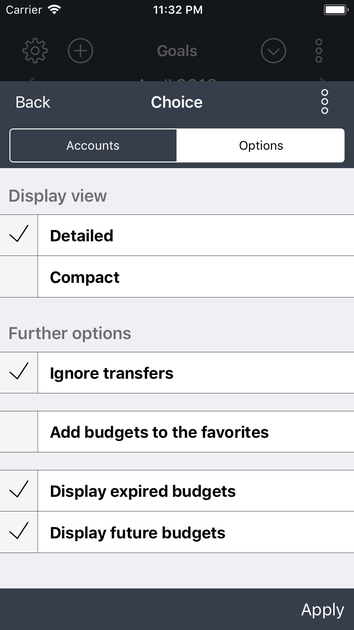 You can choose the entries you want to use for calculation. There are various entry criteria available. 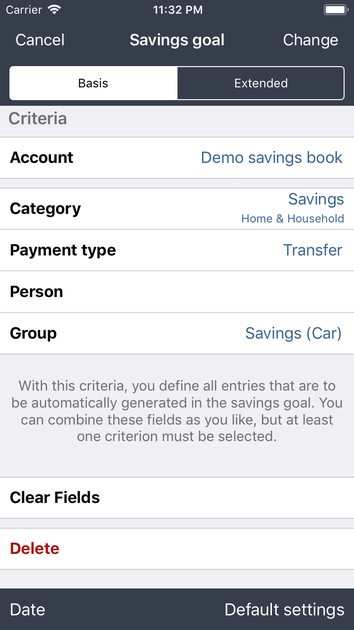 As with the budgets, the entries are automatically assigned to the savings goal, billed and displayed. 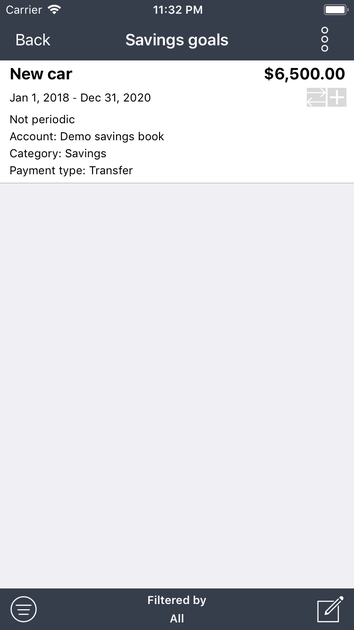 You can manage the list of your savings goals with the filter symbol. 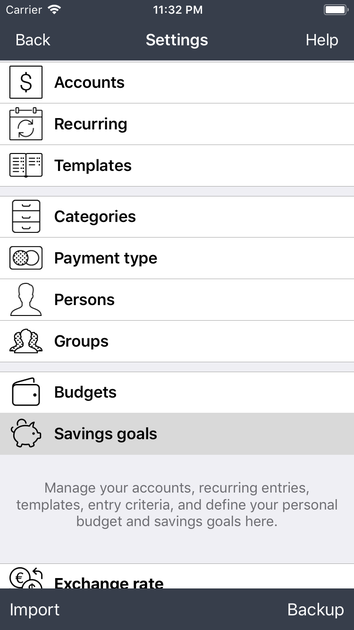 (bottom left) It is possible to display active, deactivated, valid, expired or future savings goals. 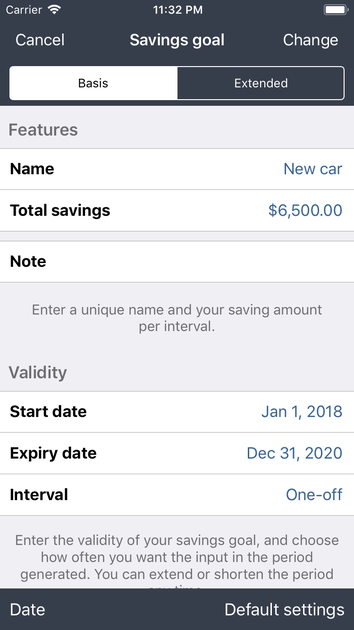 On the “goals” tab, you can track how much you have saved for your savings goal (for example, for a new car) for any period of time. 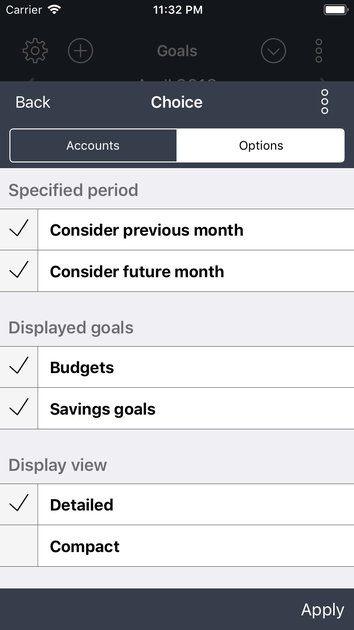 Under options (second icon from top right) you can specify the goals (budgets, savings goals) you want to be displayed, you can decide whether you want expired or future goals to be listed, and you can set a priority for the goal. Without this extension, only the budgets will be taken into account.